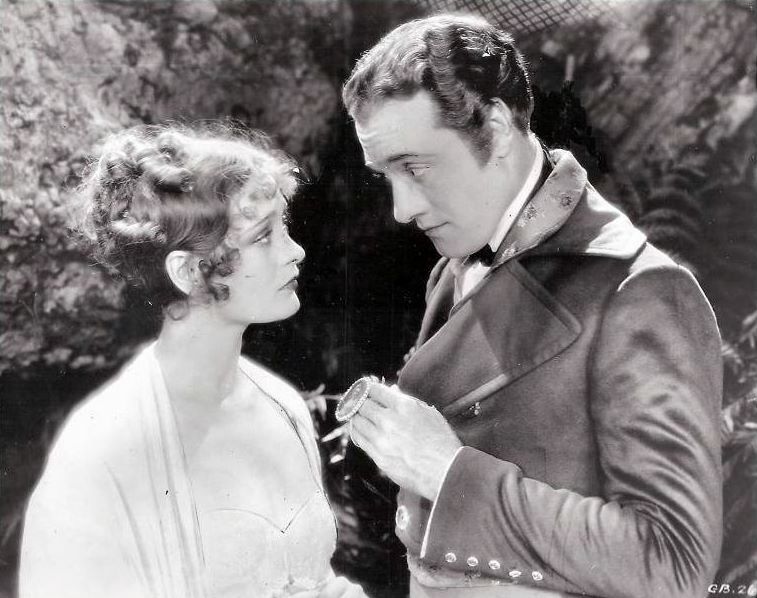 If you have a low tolerance for silly plots, silent film is probably not for you. A lot of the greatest silent tales come alive only in the telling—maybe they have to—and if you try to describe them to someone else, you get grins. Try summarizing Sunrise, for example, and see. Now listen to this one: In the early 19th century, a beautiful Baltimore socialite falls in love with her French teacher. He is handsome and clever; impoverished, it seems, but well-educated and handy with a rapier. What the socialite doesn’t know is that the teacher is not really a teacher, but a nobleman. He is the brother of Napoleon Bonaparte. He is on the run, and the French want to find him. They have a noblewoman they need him to marry. This is Glorious Betsy. Glorious Betsy is a film in three guises: romance, farce comedy, and a third, not often paired with the second: historical drama. Yes, these things really happened. Kind of, anyway. There really was a Jerome Bonaparte, who really did live in America where, in 1803, he married Elizabeth ‘Betsy’ Patterson, daughter of a Baltimore merchant. Napoleon really did have plans for his brother: a marriage to Catharina of Württemberg, a German princess, and in real life, Jerome’s marriage to Betsy was annulled by brother Napoleon, in favour of the political union. 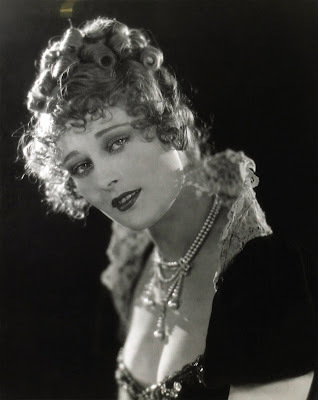 This was the weight of history, and in 1908, playwright and songwriter Rida Johnson Young displaced most of it, creating the frothy stage production upon which the 1928 film was based. There’s a lot to like about Glorious Betsy, though I can’t say liked it overall. The movie’s strength is the charm and vivacity of its leads. Betsy, nicknamed ‘Glorious’ for her incredible beauty, is played by the highly qualified Dolores Costello, who possessed perhaps the loveliest face of the silent era, timeless and versatile in its charms. Costello would have needed to do little—maybe nothing—to play a convincing target of Jerome’s (Conrad Nagel’s) affections. Her looks alone could have kept the affair plausible, even if Betsy was foolish or ignorant or spoiled, but she’s not, and the film’s better for it. As directed by Alan Crosland, Betsy’s stunning; as written by Young, she is sharp; as played by Costello, she carries herself with confidence and humor, and though she’s outwitted at first, there’s no reason to believe this is typical. We’re aware of Jerome’s ruse long before Betsy is. Even before his reveal, it’s pretty clear, to us, that Jerome is no average indigent tutor. When a local cad throws a cameo of Betsy into his poker pot (who could raise that? ), Jerome unmans him in an impromptu swordfight, then leaps to a windowsill and exits. It’s pure Douglas Fairbanks, and at this point you’re expecting Glorious Betsy to be a terrestrial take on The Black Pirate. Not quite. Nagel’s Jerome has the same joie de vivre that infected all of Fairbanks’ heroes—though quick to anger, he recovers his grin instantaneously; an attempt by the actor, I guess, to depict a man of both noble bearing and easygoing disposition. But Nagel, though a better actor than Fairbanks, has to do too much of this juggling in a film that ends up challenging his character in ways Fairbanks characters were generally spared. The result is a compromised, overmannered, and sometimes overacted performance. Watch Jerome the serious lover (which Nagel sure as hell could play) clutch Betsy’s arm with both hands, and nosh it, bicep down to knuckles, like he’s eating a cob of corn. In the film’s early comic moments, this would have worked. Jerome debuts as a trickster and a bit of a superhero—a man one step ahead of his paramour, but nonetheless her match, rather than her master. When the film takes its heavy turn toward Romantic Drama, this Jerome is neutered. Napoleon (Pasquale Amato) is not to be messed with, even by his own brother. While Jerome’s love for Betsy is not irrelevant to the Emperor, it is immaterial, at least before matters of state, and he refuses even to let Betsy come ashore in France. The Jerome of the film’s first half would have slung his arm around Betsy’s waist, snatched the ship’s rigging and swung them both free of his brother’s tyrannical clutches. Yet serious issues of politics, and possibly a lifelong pattern of filial deference, keep him grounded. Some will read this simply as a free spirit able to express himself only outside the sphere of his brother’s influence, but I felt a shift, not only in the character’s mood, but in the type of character Jerome is, and so the movie buckles. It grows morose. Costello’s scenes with Amato, in which the (literally) royally screwed Betsy Patterson pleads and negotiates with the world’s most powerful man are fairly compelling, but they’re also one-on-one, reminding us again what a helpless feeb that Jerome turned out to be. The resolution of all this I won’t reveal, though you’ll guess it falls somewhere between the extreme good will of Glorious Betsy’s music hall roots and the wretched conclusion of the real events, locatable on Wikipedia. Like I find myself saying about so many films, there was potential here. Love it for what it is and you may not be disappointed… which is probably the advice you’d get from Betsy Patterson, about many things. 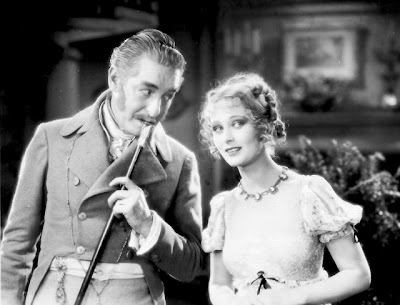 I should mention that Glorious Betsy is a ‘partial talkie’—one of those early-sound-era silent hybrids featuring extended music or dialogue sequences. As near as I can tell, Glorious Betsy has both, though they were missing from the print screened for us. It was a weird experience, actually, as actors and singers onscreen were clearly doing things they knew would entertain, while you sat in your seat and stared at them, lost. I can’t fairly judge what all this would have sounded like. If you’ve seen and heard these sequences, let me know. I saw Glorious Betsy at Cinefest 31 in Syracuse, NY: March 18, 2011.